We are now in the second half of the school year, which means it's "project time". 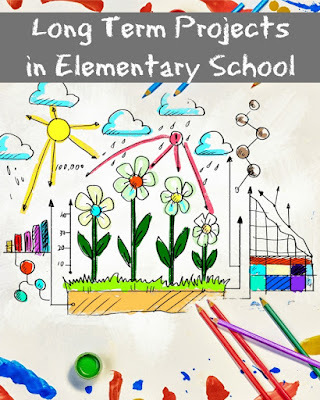 In this post, I will share my thoughts on how to teach rudimentary project management skills to elementary school students and on the role of parents in long term projects. I know that project-based learning is supposed to be very beneficial for kids, but so far long term school projects have not looked like any sort of fun in our house. As we approach yet another science fair and yet another end-of-year writing/social studies project, I keep thinking why projects proved difficult hoping to learn some lessons to apply to this year. I remember Smarty's very first project in the second grade when she needed to choose a favorite story, illustrate a paper bag with pictures from the story and then collect items to represent the story and retell it to the class. It sounds simple, yet she was procrastinating almost to the last day to get this project started, and then I had to support her quite a bit to turn in the project on time. The next project, Heritage Report, was even worse. Students had very little autonomy on what to do, a lot of instructions on what should be on the poster and in the report, but very little support from school on the steps needed to get this project done. In fact, teachers explicitly expected parents to help children with this project as a "family bonding activity" and "dinged" unfortunate students whose parents had no time or resources to spare on this undertaking. Yet again, we had to step in and guide Smarty to the completion, and nobody enjoyed the big fuss of putting a poster together. Last year we got lucky with projects - Smarty's third grade teacher was very big on keeping school in school. She relieved parents of project help unless the student was unable to keep up with deadlines for specific project steps executed in the classroom. Because of this approach, we only saw Smarty's project at the open house in the end of the year, and it was clearly "her" project with all flashes of brilliance and execution flaws that you could expect from a third grader. But we were not out of the woods, as Smarty really wanted to participate in a science fair. 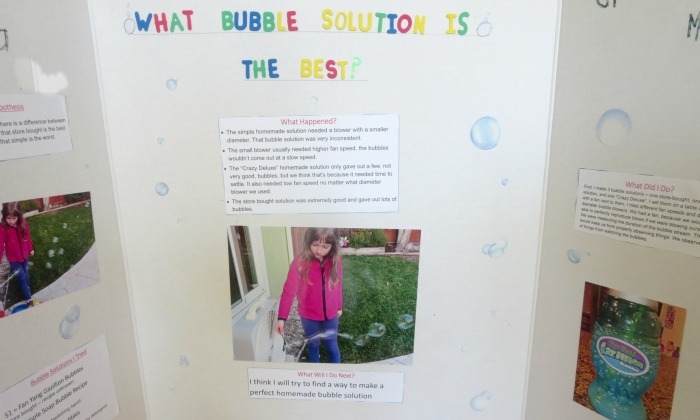 She dreamed up a deceptively "simple" project - comparing several bubble solutions and deciding which makes most bubbles. We all quickly discovered that counting bubbles is not as simple as it looks, and there were a number of variables that had to be controlled. I am not sure if Smarty was seriously stressed about her project, but I certainly was as I was nudging her through all the steps needed to complete it on time. My main conclusion from this struggle of two last years is that kids are given projects with little to no training in rudimentary project management skills. Also, projects don't happen often enough for children to actually learn to consistently apply project management skills, so students are always stumped when the next project finally comes around. What Can You Do to Help Projects Run Smoothly? So what did I learn from these two years of struggling with projects? Well, basically, I came to accept that my daughter is not about to learn project management skills needed to handle multi-step projects in school. I heard they do eventually teach these skills in school, and this is why I find it ironic that project assignment happens so early (too early in my mind!) in school life. So this year I will try to specifically teach Smarty simple project management techniques as she works through her social studies project (it will be yet again sent home this year). I just discovered that we will be traveling during science fair week - it's a bummer, since Smarty had a terrific idea for this year, but perhaps she can keep her idea under wraps for the mandatory 5th grade science fair project next year. What do you need to turn in at the end of the project - a report, a poster, something that you will build? Are there choices in what you can deliver in the end? For example, perhaps something can be either a poster or a PowerPoint presentation. Will you need to present your project in front of the audience? Are you expected to talk about it or to read from prepared text? Do you have a list of success criteria (or a grading rubric) from a teacher? How do you think your successful project will look like? feel like? sound like? Do you need special materials or equipment (i.e. books, camera, craft materials)? Can you break your projects into important parts? 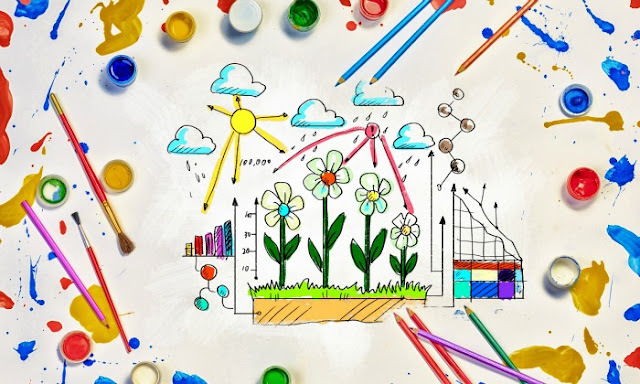 Visual learners can also connect to a timeline marking weeks or days of the project. Tactile learners might want to tape a piece of paper to LEGO pieces and literally "build" their project timeline. Nobody wants to feel like a nag, but most elementary school students still don't have executive skills required to keep track of a long term project independently. Encourage your student to allocate time to work on the project every week and help them choose appropriate rewards for completing major steps. You might also have to withdraw privileges to ensure your student has time to complete the project and does not leave it to the last possible minute. Are you happy with how this turned out? What was the best part of doing this project? It can be extremely tempting to take over a project, especially if your child is eager to accept help and pass on responsibility or the project is going completely off track. Take a deep breath and back off. 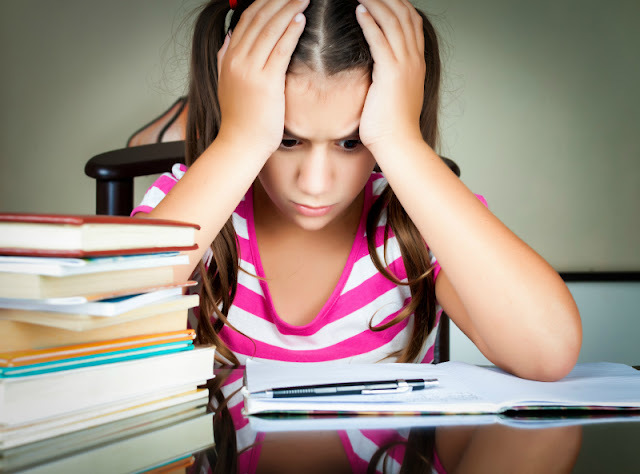 Failing a project-based assignment in elementary school can be a valuable learning opportunity, especially if you encourage your child to self-reflect on the reasons behind the failure of the project. They will have many opportunities for improvement as they go through their school years and tackle more complex projects, so let them learn on their own. Did your kids have a chance to do a big project yet? How did it go? Great advice! I'll admit that I absolutely despise long-term projects in elementary school. Luckily, most have been done in the classroom, but have had at least one a year. I love your thoughts and definitely agree that teaching kids project management is important. Interesting read. As a teacher, I'm very interested to hear opinion about projects in elementary school. Do you have an idea about when and how they could be introduced effectively? I'd agree with you that most long term projects are not handled well in elementary school. Especially ones that require parent involvement. I always feel terrible about students whose parents were expected to help but couldn't. 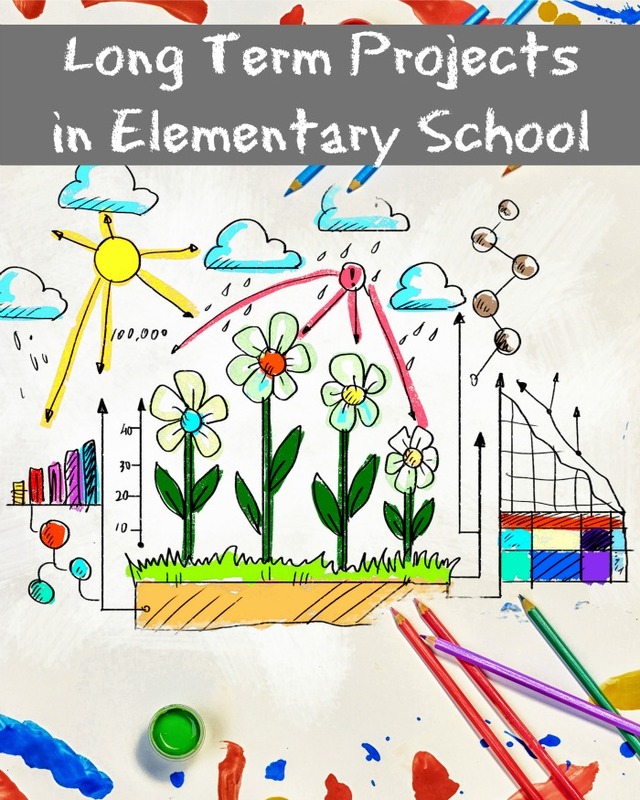 I think that if projects are going to be done in elementary school the teacher needs to take that into account and help students find a way around it. Just reading this brought back that sick headache and slight nausea I used to get from facing these types of projects as a student. I'm not sure of the long-term consequences to my children, but I'm so relieved to not have to face this as a parent! 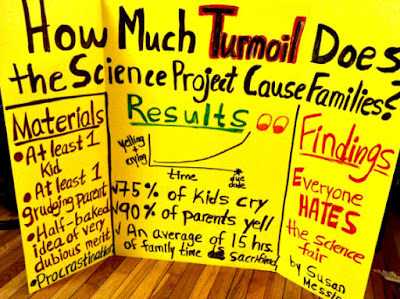 D. has been doing science fair in our homeschool program for a few years now. I had to really watch him in earlier grades. The teacher gives a very clear timeline when each step of the project is supposed to happen. This year he is in 5th grade and the whole thing was his and his alone. He still procrastinated though and left most of it for the last few days. As the result it looked less awesome than it would, had he done it as planned. My participation was only some minor nagging this time around, I felt he needed to swim or sink on his own. He ended up getting a decent mark, but noticed how lacking his presentation was.